Ahead of Sunday's Academy Awards, Oscar’s touch has two animators feeling honored. 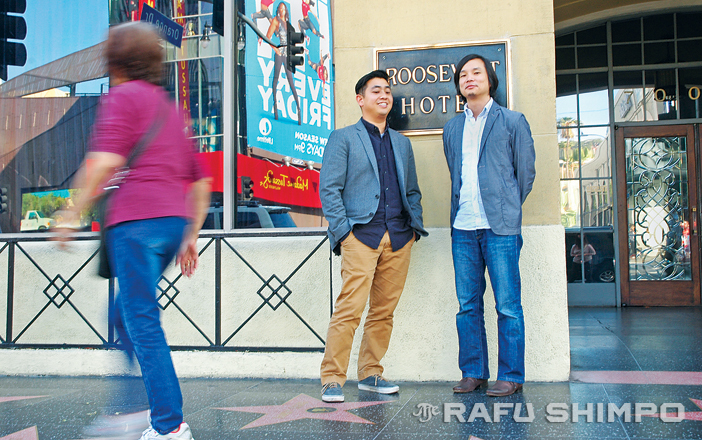 The day’s schedule of interviews, conducted mostly in the dark, crowded and noisy lobby of the Hollywood Roosevelt Hotel, looked be wearing on Robert Kondo and Daisuke Tsutsumi, so I suggested we step outside for a couple of photos and questions. Hollywood Boulevard was electric with activity. Midwestern visitors clambered down the star-laden sidewalks, mixing with a few large tour groups from Japan and the usual cast of – shall we say colorful – Hollywood regulars. The ongoing preparations for Sunday’s Academy Awards was in full view, with the Dolby Theatre less than a block away, but Kondo and Tsutsumi showed a relaxed coolness in spite of the anticipation that surely must have been building inside. Tsutsumi, 40, grew up in the Shibuya district of Tokyo before coming to work as an artist in L.A. He said the nomination is a vote of confidence to continue to strive for excellence going forward. “The nomination is not just to celebrate our past, but it’s about how we can use the opportunity to do something better and contribute to the community,” he said. Kondo is a graduate of Wilson High in Hacienda Heights who went on to study at the Art Center College of Design in Pasadena. 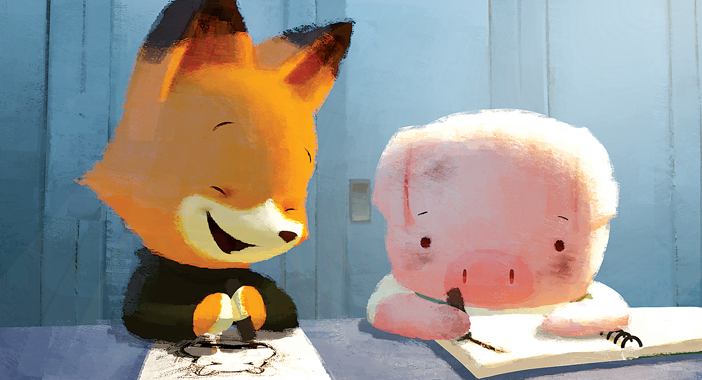 He said the central character of “The Dam Keeper” is some ways echoes his own gratitude for the industry nod. Unlike decade ago, when it was customary for a cartoon to precede a feature in theaters, the marketplace for animated shorts may at first appear to be shrinking. Tsutsumi disagrees, saying that the internet has provided fertile ground for showcasing works like “The Dam Keeper.” With scenarios like the one that led to Sony’s feature “The Interview” being released digitally ahead of its theatrical release, a new normal is fast approaching.